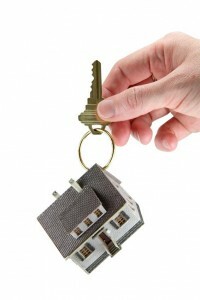 Moderate movement in property prices says Nationwide! One of Britain’s building societies have stated that the upsurge in property prices are being displayed as “cautious signs of control”. In March 2014 house prices increased by 4.0% in comparison to the previous month where they had increased by 0.7% according to Nationwide Building Society. However, the inflation of property prices continues to grow on an annual basis reaching figures of 9.5% in comparison to February 2014 where they had been recorded at an ever so slightly lower figure of 9.4%. The property market has experienced its 15th successful month regarding the increase in property prices however; the latest increase appears to have reduced a little. London is known to be one of the places that have had an exeptional rate of movement in their property market which is also known as a property market boom, the prices of properties in London are currently recorded to be at an all time high. This price difference compared to the rest of the county is highlighted when comparing the current value of an average property in London compared to the rest of the UK. For example, the average house price in the city is estimated to be around £362,699 whereas the rest of the UK has an average asking price of £180,264. During the first ¼ of 2014, property prices in London alone have risen by an impressive 18% in comparison to the exact same period during 2013. This leaves prices at a record of 20% above what they were recorded at in 2007 in London. Robert Gardner, Chief economist at Nationwide openly stated; “There are some tentative signs of moderation". Furthermore he also added; “Annual price growth had been continuing to run at a robust pace and that low mortgage rates and an improved economic outlook meant the housing market recovery was now firmly established”. Mr Gardener continued; “The gap between house prices in London and the rest of the UK is the widest it's ever been”. In spite of all this UK regions have experienced a growth in property prices for the third financial time frame in a row. Lenders are aware of the situation and displayed that they had worries about the current rate at which new properties are being developed and are concerned that there isn’t enough to meet the demand of potential buyers. Currently the progression rate of newly built properties stands 40% below what it should be. The above figures are recorded from samples of Nationwide’s data with regards to their own lending system however; the figures may differ depending on the source. Having been encouraged by a 13.2% rise in London property prices, lending fees in the UK had been increased by 6.8% compared to the previous year according to the office for national statistics. Not only this but major banks in the UK display that the amount of people borrowing mortgages has exceeded to its highest rate ever since August 2008. The newly devised “Help to Buy Scheme” is anticipated to be one of the main causes behind the extreme upsurge in prices. This scheme provides loans up to an impressive 20% on newly constructed homes and existing houses. Chancellor George Osborne confirmed ideas to extend the first stage of the Help To Buy Scheme and the equity loan offer, this is said to take place up until the end of the decade. He declared all of this during a talk regarding the budget never the less; this has increased fear of a possible housing bubble on the horizon. Do you think a crisis could arise out of this seesaw like property market with prices differing repeatedly? Please feel free to leave your views on the subject below.